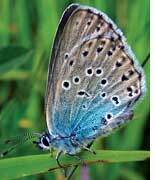 The large blue butterfly, Maculinea arion, knows how to fool ants into raising their caterpillars. But when the ant, Myrmica sabuleti, disappear there survival is at stake, a study has shown. The butterfly lays eggs on thyme flowers and the caterpillars fall on the ground after hatching. Thanks to a chemical caterpillars secrete, ants mistake them for their own ones, and take the caterpillars to their nests and protect them. When farmers stopped grazing livestock in the English countryside, the vegetation increased and the soil temperature decreased, making it unsuitable for the ant. With the ants gone, there was nothing to protect the butterfly. The study was published online on Science Express on June 18, 2009. Catalytic converters are used in vehicles to reduce toxins in the exhaust. But the reaction by which they convert toxic gases into harmless ones was not understood. To crack this scientists simulated the condition inside a catalytic converter; they placed a catalyst in the midst of toxic gases. The catalyst was made of silver nanoparticles deposited on aluminium oxide. A laser beam aimed at the catalyst triggered a reaction that was analyzed by infrared spectrometer. The analysis showed that in the intermediate reaction between gases like carbon monoxide and nitrogen oxide, a cyanide group was formed. The silver nanoparticles flipped it over to aluminium oxide. This made the gases harmless. The study, reported in the May 22 issue of Science, makes way for improved catalytic converters. 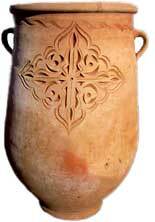 Scientists have devised an alternative to carbon dating to find the age of clay objects. This technique uses the rate at which clay objects absorb moisture after they are fired in the kiln. Older the material, the heavier it is due to water absorption. The team measured the rate of weight gain using a microbalance. The study was published in the May 20 online issue of the Proceedings of the Royal Society A. The brain works through an interplay of neurons in its planning centre, the prefrontal cortex. When the brain is paying attention to an object, neurons work in unison in the planning centre, producing signals which are conveyed to the brain's visual centre. A study found that these signals generate high-frequency gamma waves that oscillate between different regions of the brain like a spring. These oscillations are not specific to attention. The planning centre uses them for communication with all parts of the brain. If the synchrony is altered it could impair brain functions. The research, published in the May 29 issue of Science, has implications on the study of impaired vision and schizophrenia. Unlike animals, plants and bacteria do not get fat. They have a set of enzymes called the glyoxylate shunt that can digest fat, but these enzymes are missing in humans. When genes from the bacterium E coli responsible for producing the enzymes were cloned and introduced into the liver cells of mice, the mammal produced the enzymes and remained skinny for weeks. The study reported in the June 3 issue of Cell Metabolism, is the first to manipulate a metabolic pathway successfully in mammals and has implications in fighting obesity. Coral reefs are more resistant to seaweeds than previously known. 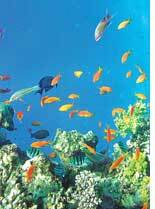 Marine scientists from usa and Australia analyzed 3,500 studies on 1,800 reefs between 1996 and 2006. They found only four per cent of the world's reefs were smothered by seaweeds. The results published in the June issue of Ecology question the current methods of coral reef protection. The food-poisoning Salmonella bacteria require sugar to multiply in the host cell. When a bacterium infects an organism, it overpowers the immune cells meant to kill it and multiplies inside them. But to multiply, the bacterium requires energy. When Salmonella genes were mutated to render them unable to use sugar, bacteria could not replicate. When mutated bacteria were introduced in mice, the mice did not fall ill, said the study published online on April 20 in the journal Infection and Immunity. Since the mutated Salmonella could still bring about immune response, the researchers think these can be used to develop a vaccine against food poisoning. Scientists have found new toxins in Amazonian poison frogs. The toxins belong to a group of chemicals called N-methyldecahydroquinolines and were not known to exist naturally. The study published in the June 26 issue of Journal of Natural Products said the frog has an amazing capacity to gather toxins from animals it eats. Scientists are yet to figure out whether new toxins come from the frogs' diet or are produced by the frogs themselves. Over 500 poisons are stored in the frog's skin to discourage predators.